UFC 225 has two very important fights coming up. The first one is the co-main event between Colby Covington and Rafael dos Anjos, while the second is the main event between Robert Whittaker and Yoel Romero. It looks like now “The Soldier Of God” has caught Covington’s attention, and he starts threatening he will knock Robert Whittaker out if he is unable to. Of course, Romero needs to pass the weigh-in first. Romero and Covington are teammates, so this doesn’t come as a surprise. Whittaker defeated Romero last year, but the best Cuban MMA fighter of all time returned to No.1 Contender position when he defeated Luke Rockhold at UFC 221. Looks like Covington has very serious ambitions since he mentions winning three UFC belts. He wants to remove Khabib Nurmagomedov from the Lightweight throne. 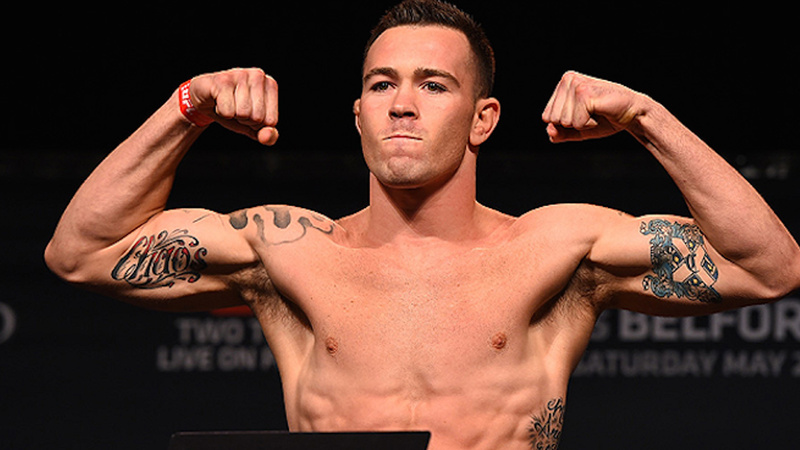 Colby Covington also wants Welterweight and Middleweight title! His final goal is to become the first three division champion in UFC history. You will be able to watch UFC 225 next Saturday, June 9, in the “Windy City”. What do you think, can Rafael dos Anjos become the man who will blow Colby Covington away?